Like most businesses, House Bliss Cleaning, LLC uses “cookies” to track your current booking so that you may retrieve your shopping cart at any time, and to personalize your shopping experience. The text in a cookie by itself, only tells us if you have been to our site before. It does not store personal information such as your name, e-mail address, street address, or phone number. All data contained in the shopping basket is kept on our secure, encrypted server, and not in the cookie assigned to your computer. We may collect the domain name of email addresses from visitors to our site and aggregate (not personally identifiable) information tracking which pages visitors access and how often they obtain them. We use this information to monitor the use of our site to improve its performance and usefulness. We may also collect information you volunteer, such as survey responses, feedback, purchasing and billing information, and your written requests. Moreover, lastly, we may from time to time use the information we collect to notify you of important functionality changes to the website, new services and offers we think you might like. House Bliss Cleaning, LLC keeps your personal information private and secure. When you purchase from our site, you provide your name, email address, credit card information, address, phone number, and a password. 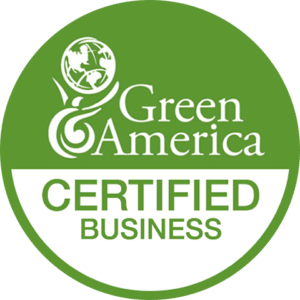 We use this information to process confirm your bookings, keep you updated about the cleaning schedule, and allow you to make schedule changes. Our booking form is secure by third-party servers protect your information using advanced encryption (SSL) and firewall technology, so any customer data we collect is protected against unauthorized access. Additionally, we may notify you of current promotions, specials, and new products that become available at House Bliss Cleaning website. You may unsubscribe from our newsletter emails at any time, by simply following the unsubscribe instructions at the bottom of the email we sent you. You can update your information by visiting houseblisscleaning.com and clicking “Log-in” at the top-left of the page. You can also email us at hello@houseblisscleaning.com or use the Contact Us Form, and we can update it for you if you prefer. House Bliss Cleaning, LLC will not sell or offer to sell any of your information to anyone for any reason without your prior written consent. Other sites accessible through our site have their privacy policies and data collection practices. House Bliss Cleaning, LLC and its subsidiaries are not responsible for the actions of third parties. By using our website, you consent to the collection and use of information as stated above. Although the information on this website is accessible worldwide, not all services discussed in this website are available to all persons or in all geographic locations or jurisdictions. 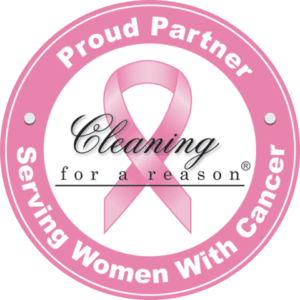 House Bliss Cleaning, LLC reserves the right to limit the provision of their services to any person, geographic area, or jurisdiction they so desire. Any offer for any service made in the materials on this website is void where prohibited. In the event of litigation, both parties agree that the Law of the Commonwealth of Massachusetts shall apply. Additionally, both parties shall consent to the personal jurisdiction of said the Commonwealth of Massachusetts’ courts, or in the event of diversity of citizenship, the United States District Court in Boston, MA. Both parties expressly waive a trial by jury. These Terms and Conditions constitute the entire agreement between you and House Bliss Cleaning, LLC concerning this Web site. The Terms and Conditions supersede all prior or contemporaneous communications and proposals, whether electronic, oral or written between you and House Bliss Cleaning, LLC concerning this Web site. No modification of the Terms and Conditions shall be effective unless House Bliss Cleaning, LLC authorize it. If any provision of the Terms and Conditions is found to be contrary to law, then such provision(s) shall be constructed in a manner to closely reflect, as much as possible, the intentions of the parties, with the other provisions remaining in full force and effect. We reserve the right to make changes to this site and these Conditions at any time.